Mossbourne Community Academy initially approached us and asked if we could develop a system that could process their admissions each scholastic year. One of the major hurdles at the time was coming up with a cost effective way of calculating the distance from the school gates for each applicant. At the time there were not any options within their budget, but shortly afterwards we found a geo-mapping tool that could do the job at a realistic cost and have since updated our admissions systems using Google Maps API. We developed the first of our schools admissions systems shortly afterwards and Mossbourne were delighted with the results and referred us to a number of other academies. Mossbourne have also asked us to develop another application for their Student Behaviour System and we have recently updated their admissions system to take into account their new admissions criteria. As a direct result of the successful implementation of the admissions system for Mossbourne, we were asked to develop a similar system for Saint Mary Magdalene Academy. 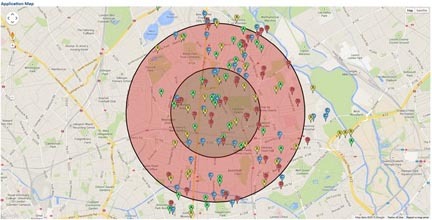 Geo-mapping solutions were more readily available and we opted to use Google MAPS API to calculate the distance criteria for their admissions system. The system has been in place for 6 years and has proved a great help in processing admissions, whilst saving money by avoiding expensive solutions provided by the Local Education Authorities. 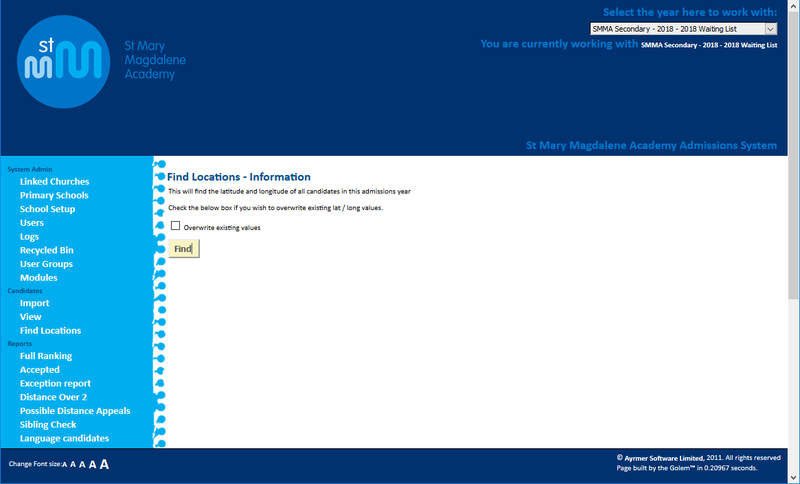 In 2012 we developed a multi-academy admissions system for a trust. The admisssions system allowed users to define admisions policies based on a variety of policies (SEN, staff, catchment areas, local authority care, siblings, feeder schools, distance from school gate and lottery randomisers). 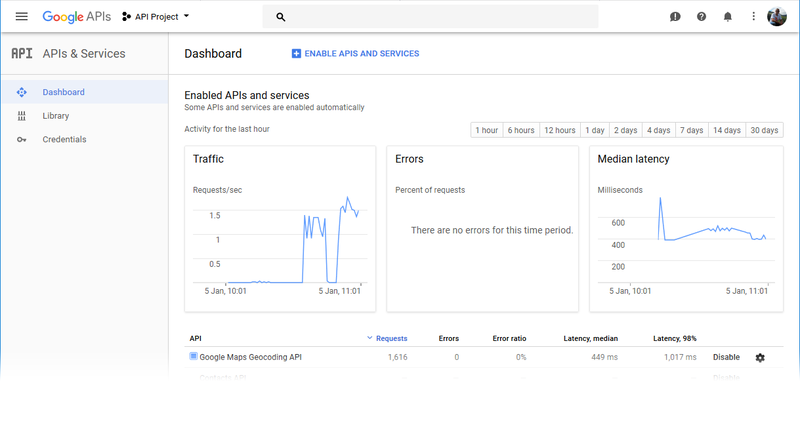 We've updated the Geo-mapping solution to utilise Google's updated Maps API (Version 3.0) that provides better processing of address data and it comes with this handy cosole that allows us to monitor usage.